Builford would like to add its congratulations to the chorus in celebrating Leonardo DiCaprio’s well-deserved Oscar for Best Actor in a Leading Role this year. It’s a culmination of many years of hard work and developing the craft, which is something we understand and appreciate. In celebration of DiCaprio’s win and a great movie in The Revenant, we’d like to introduce you to the Builford Hunter Rucksack. We don’t suggest getting lost in the wilderness and fighting bears with it, but for trekking, backpacking, and general outdoors exploration, it’s a great pack. 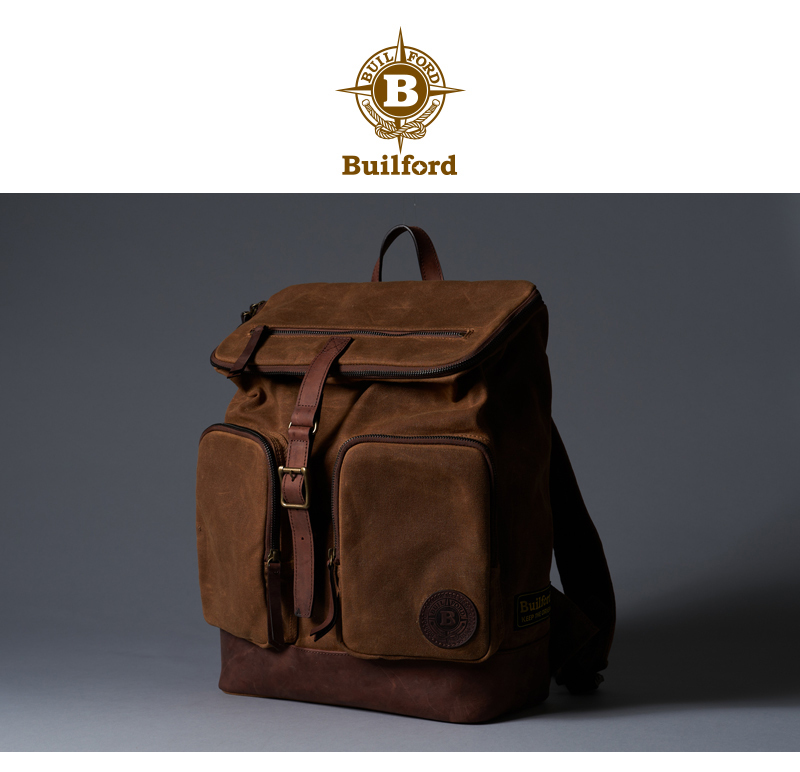 With its slightly blocky design and large front pockets, the Builford Hunter Rucksack was inspired by hunting bags and jackets, with outer pockets for small items and great interior organization to keep your things straight. It’s great for camping trips as well as day trips. Like all Builford bags, the Hunter Rucksack is made of original Martexin waxed canvas, a formula that has been developed and perfected for the better part of the last hundred years — like DiCaprio, we understand that good things do come to those who not just wait, but keep working. It’s naturally waterproof, which makes it a great companion in the wild, and won’t suffer from excessive wear and tear like many packs might with hard use. 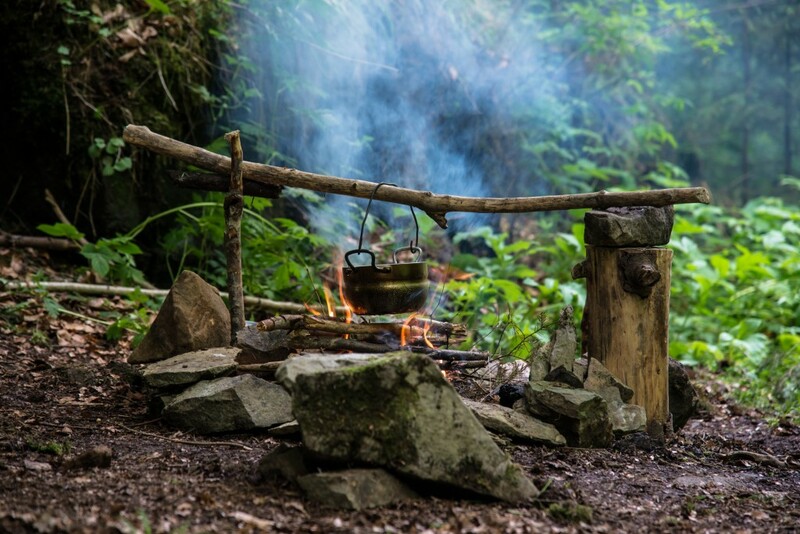 While it’s still a little cold for camping — unlike DiCaprio’s unfortunate character in the Revenant, we’re not interested in playing a survival game in freezing conditions — it won’t be forever. The Builford Hunter Rucksack will be your best friend when the days get warm and all you want to do is be outside! To order your Hunter Rucksack to celebrate DiCaprio’s win, or check out the rest of Builford’s great collection, head over to www.builford.com! Share the post "Builford Hunter Rucksack and “The Revenant”"
Posted in Blog and tagged builford hunter rucksack, camping backpacks, explorer backpacks, oscars 2016, outdoor backpacks, outdoors waxed canvas backpacks, travel waxed canvas backpacks, trekking backpacks, waxed canvas backpack. Bookmark the permalink.